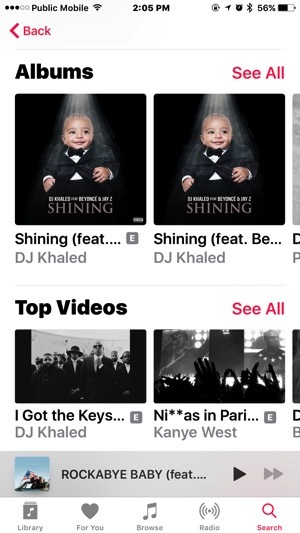 In a surprise move, rap artist and hip hop mogul Shawn Carter, known to the world as Jay Z (HOVA), has removed all of his albums from Apple Music, along with Spotify, Google Play Music, and Amazon in the U.S. Pandora is still streaming Jay Z’s albums on their internet radio service (via MacRumors). Jay Z is the owner of rival streaming music service Tidal and the move appears to make the artist’s albums exclusive to his own streaming service. When Pitchfork first noticed the disappearance of some albums last year, and contacted Apple, the company directed their inquiries to Roc Nation, Jay Z’s label. 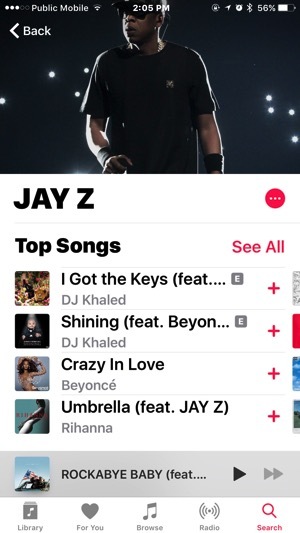 Jay Z relaunched Tidal just over two years ago, highlighting their artist-first approach was “what sets us aside from a tech company selling advertising, or one selling hardware,” in what can be interpreted as veiled jabs at Spotify and Apple. At the beginning of the year, Sprint acquired a 33% stake in Tidal.